Natural oil seeping from the ocean floor in the Gulf of Mexico was found to be capable of sustaining life, scientists discovered. It appears the plankton was engineered by evolution to naturally thrive in something we know to kill living things. The discovery, the first of its kind, was made by complete surprise. Oceanographers at Columbia University found that the phytoplankton he analyzed sitting above the natural oil seeps in the gulf actually thrived. Moreover, the turbulence caused by escaping natural gas creates bubbles up to a mile high, carrying life-sustaining nutrients right up from below the ocean floor into the plankton’s hungry mouths. This is seen as the first study to observe such a broad connection between the sea floor, the sub-sea floor and living organisms. And it was made by accident, while lead author Nigel D’Souza was in the Gulf of Mexico studying chlorophyl fluorescence – energy emitted as light by phytoplankton during photosynthesis. He could hardly believe his luck when suddenly it became apparent the bacteria were alive and well in those huge pools of oil. Moreover, there was a spike in phytoplankton activity there. "This is the beginning of evidence that some microbes in the Gulf may be preconditioned to survive with oil, at least at lower concentrations," study co-author Amit Subramaniam said. “In this case, we clearly see these phytoplankton are not negatively affected at low concentrations of oil, and there is an accompanying process that helps them thrive. This does not mean that exposure to oil at all concentrations for prolonged lengths of time is good for phytoplankton." In a paper published Monday in the journal Natural Geoscience, the teams makes use of data gathered earlier by researchers from Florida State University. They were analyzing how much of the oil in the area was natural and how much came from the Deepwater Horizon spill of 2010. It’s been observed that natural oil seeps aren’t nearly as catastrophic in physical scale as the Deepwater Horizon spill. While they measure something from one to 100 square kilometers (62 sq. miles), the man-made one in the Gulf produced 11,200 square kilometers and wouldn’t dissipate for months. 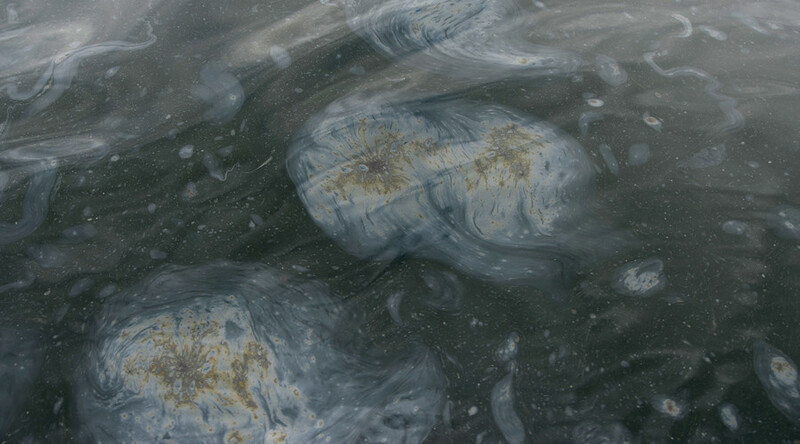 Co-author Andy Juhl analyzed the various concentrations of oil from both types of spills, finding that no amount of oil is actually beneficial to the phytoplankton, but that it doesn’t hurt them in any significant way. "The direct effect of oil is usually negative, but in some cases small amounts of oil can be outweighed by the positive effect of the nutrients that are tagging along," he said. This was especially evident in lower concentrated spills closer to the surface, where light penetrated and offered additional benefits to the nutrients. The oceanographers at Columbia are excited about this being a foundation for future studies outlining further this connection between living organisms and subsea processes. And questions still remain as to the kind of phytoplankton that could thrive in an oil spill. The researchers also believe it could be possible that oil kills off a significant amount of other bacteria that competes with phytoplankton for food, thereby allowing it to survive, as their demise degrades the oil’s concentration.